In April 2009, members of CFMA of Massachusetts were hosted by John Riley, CFO of Walsh Brothers Construction for a visit to the campus of Boston University where they toured both the recently completed Student Village II and the Harry Agganis Arena. Most if not all that were in attendance were in awe of the views of Boston and the Charles River afforded by the upper floors of the dormitory. Afterward, the group adjourned to a networking and dining event within the Ice Arena. On behalf of the members of CFMA of Massachusetts, we would like to express our thanks and appreciation to both Walsh Brothers Construction and Boston University for making this site visit possible. StuVi2, as it quickly became known, is a talking point on the BU campus. 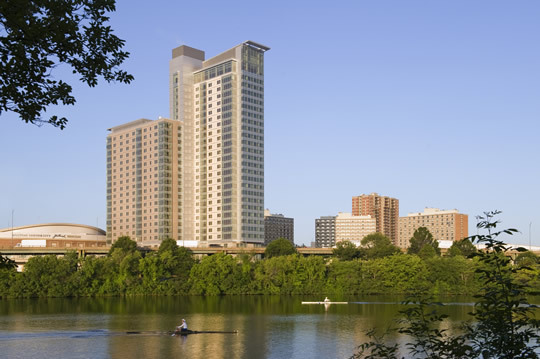 The John Hancock Student Village is a large new residential and recreational complex at Boston University, covering 10 acres between Buick Street and Nickerson Field. A 26 and 19-story dorm tower which houses 960 students that was completed in late 2009. In March 2005, the final element of phase II of the Student Village complex, the Fitness and Recreation Center, was opened, drawing large crowds from the student body. The center incorporates 6 racquetball and squash courts, a competition pool, a recreational pool, two gymnasia, a jogging track, a lazy river, and a 35-foot rock climbing wall, among other sports-related areas. 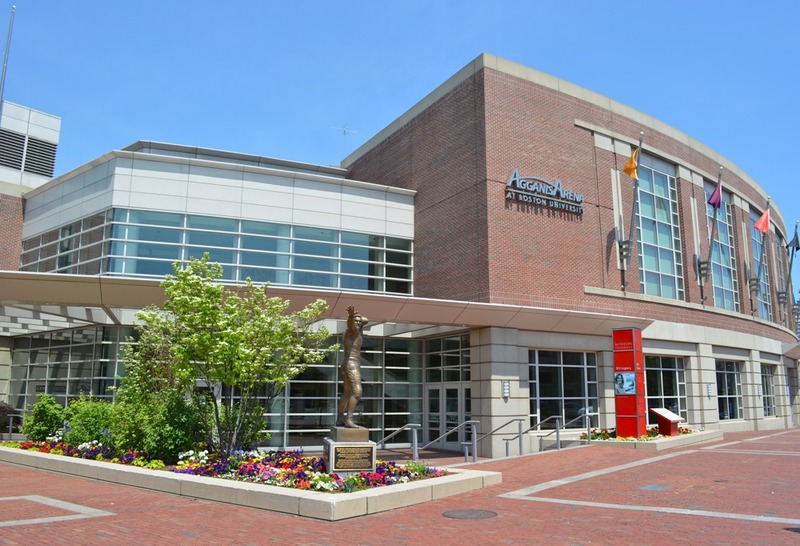 The Agganis arena includes 6,200 seats for ice hockey, 1,000 premium seats allowing puchasers preferred access to other events, including concerts, figure skating events, and family shows, retractable seating on the north end of the ice for easy setup of a concert stage, a 5,600-foot Club Room, 1,400 parking spaces onsite or within easy walking distance, six visiting/dressing rooms, allowing for tournament play, a 17x21-foot, four sided center-hung scoreboard with 8x13.5-foot video displays.